Just for a change of pace, and also to be more for an interest to the casual gamer, I have compiled a list of interesting stats and figures about the gaming universe. I actually found myself quite surprised by what I found out during my research, thinking that my own knowledge was pretty handy anyway, it was an eye-opener. Some facts however did not shock me at all. We are talking about gaming Records! Please note, several different sources have been used to create this list, so there maybe a degree of discrepancy with the numbers, but I like to think it's pretty accurate and on some queries I make my own conclusions. This list is in no particular order, merely in my order of interest - just a bit of fun info. Costly, very costly. But brilliant all the same. #10 Most Expensive Games Console - This of course is in context to the value of money over the years, so, what do you think? The WiiU? The Xbox360? Nope, way off! 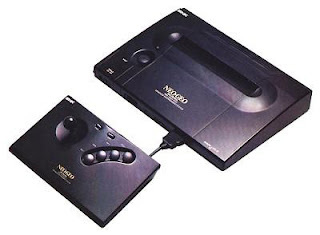 The winner is clearly the SNK Neo-Geo Arcade Entertainment System with a massive outlay of over £500 ($650) and almost another £100 for each game! Almost has big as it's title. This was ridiculous in the 90's. In today's money this equates to over £900! Coming up second is the Panasonic 3DO (£350 approx) and the late 70's Intellivision system (£210 approx). So think it good that now you can pick up a 3DS for under this amount! As a old-skool gamer, I paid these prices! #9 The Most Scariest Game Ever - Judging by reports, the winner seems to be the dreaded Silent Hill 2, beating the first game of the series by a country mile. Other recurring games in this genre are Dead Space, Eternal Darkness and of the course the fabled Resident Evil. Personally, I would choose Silent Hill 1 or The 7th Guest. These scared the be-Jesus out of me. #8 Highest Score on Tetris Ever - Some people would argue that the highest score possible is 999,999, which a fair few people have achieved. However playing the game on different platforms, records show that a Mr Frank Wong scored a total of 1,542,403 in 2009 but the Guinness book of records lists a Stephen Krogman scored a massive 1,648,905 back in 1999. I go for Mr Krogman. Outstanding sir! #7 Worst Games Console - Open for debate this one, there is a big difference between worst and worst selling, and also because none of my research seems to agree or match their final outcome. One site listed the the Wii as the worst; twaddle! But taking all my findings into account I do decree my final outcome - The Nintendo Virtual Boy as the worst console ever, mainly because it gave to a headache to the player after 5 minutes, was in monochrome red and cost a bomb. The Nokia N-Gage gets mention, as does the Apple Pippin and the Phillips CD-i. You see, the GX wasn't that bad! #6 Longest Time Playing - This almost goes to an unnamed South Korean gentleman who actually died playing Starcraft for nearly 50 hours in one sitting. This is way beyond extreme. The nod should really go to David Scherer of the US who played Grand Theft Auto IV for 55 hours in aid of charity. Thankfully, He lived. Don't try this at home people, GTA4 can drive you insane at the best of times. #5 Best Selling Video Game Ever - Taking an average of the records I found, the results all point to the same conclusion - Nintendo know how make and sell great games. The top 3 are all Nintendo's own, the winner being Wii Sports with a staggering 81 million units sold. Coming in second is the original Super Mario Bros with just over 40 million, and third is Tetris with just over 35 million. None of the next-gen games have sold anywhere near close to these numbers. The ultimate games machine...yes it is! 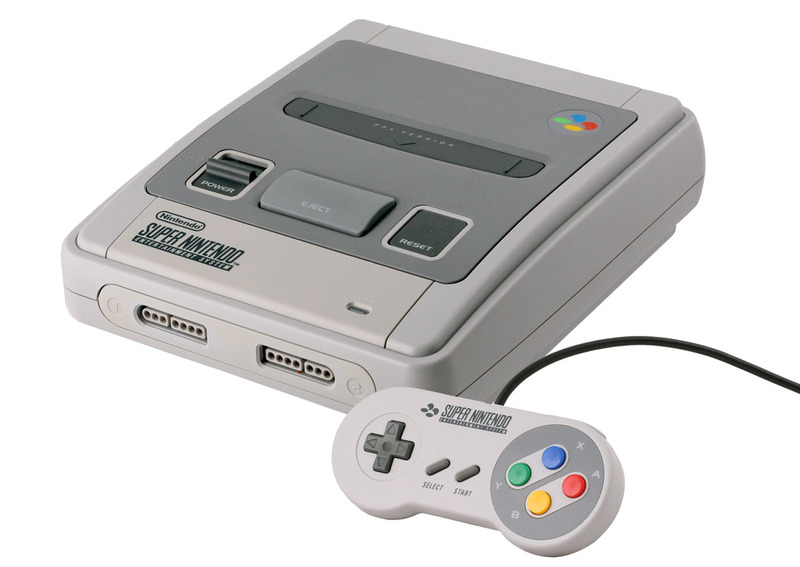 #4 Who won the 16-bit Console War of the 1990's? - Duh! The Super Nintendo did silly. Actually, it was closer than you would think in a sales perspective. The SEGA Megadrive/Genesis sold approx 42 million while the Snes released after sold just short of 50 million. I will always favour the Snes personally, but the Megadrive was a very fine machine too, so it's difficult to split the two. This is an argument that will rage on with retro fans forever, there no definitive answer. That said, The Super Nintendo won, so there SEGA fans! #3 Best Selling Handheld Console - The Nintendo Gameboy naturally... erm, well no. The acclaimed king of the handheld's has been surpassed by it's own accidental replacement; the Nintendo DS/DSi with 153 million sales, the Gameboy pushed into second with a still impressive 119 million. Even more surprising, third is the Gameboy Advance. I was expecting the PlayStation Portable to feature here. #2 Best Selling Home Games Console - Not many will be surprised that it's the awesome Sony PlayStation 2, almost racking up over the 155 million mark of machines sold. The sheer volume of first rate games, exclusives and brilliance of the machine was always going to be a winner. Way down in second was it's very own predecessor the Sony PlayStation with almost 103 million sales, and third is the Nintendo Wii with just shy of 100 million units shifted. In comparison to these mega-sellers, my humble GX4000 only sold about 15,000 approx. I still love it though. C64 - The winner. Grrrrrr! #1 Who won the 8-bit Computer War 1980's? - In terms of sales, the Commodore 64 destroyed it's rivals, the Amstrad CPC (3 million) and Sinclair ZX Spectrum (5 million), with a colossal total sales figure of 12 million, maybe even more. 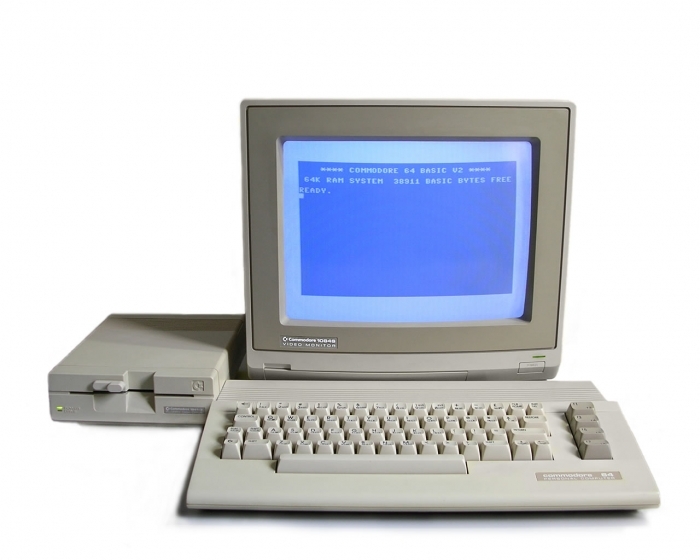 European sales favored the Amstrad and Speccy, but the Commodore had the US market all to itself. Technically however these machines differed vastly but compared admirably. The Commodore gave some excellent sound and good visuals, the Amstrad gave superb graphics and business capabilities, whilst the good ol' Speccy gave great gameplay and value. Taking all these factors into account, I reluctantly concede the C64 won the 8-bit war, mainly because of the awesome SID chip and US market hold. Still, Sir Alan and Sir Clive did have a big say in these matters. Hope you found that informative and entertaining. If you have a greater and more reliable source and wish to challenge my findings, then please comment and speak up. But, the general consensus is: The Sony Playstation 2 rocks, Wii Sports is the best (not) and SNK tried to fleece everyone with an overpriced but cool machine. We pick up the A to Z challenge on Monday with the letter S. Can you guess? Shoot 'em up's! Yay! Very informative! Thanks for sharing! Neat blog! Interesting post. I don't play video games but it interesting to learn about the games.